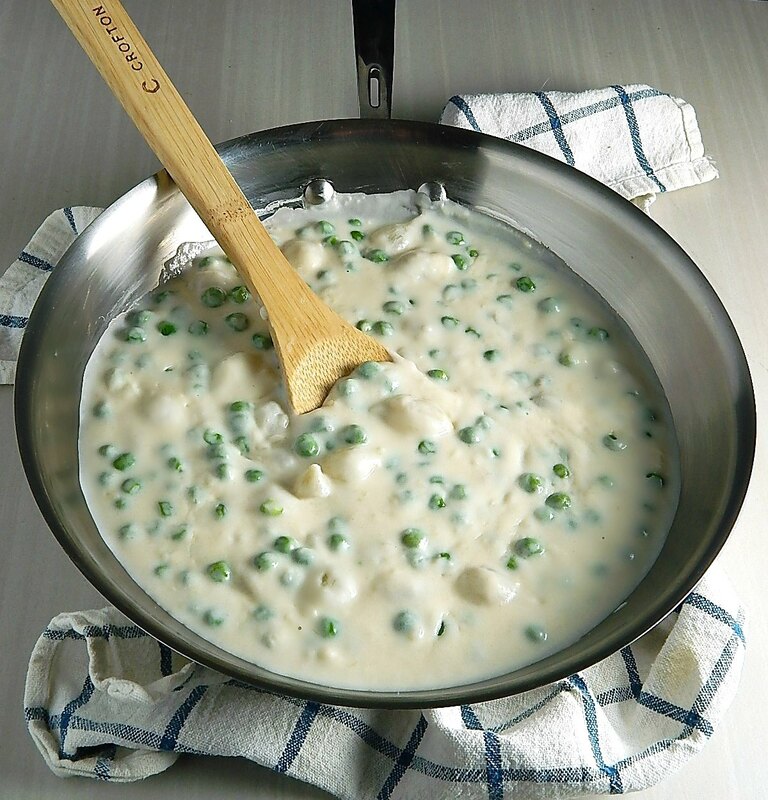 When I was a kid, either creamed peas or creamed pearl onions were on the menu now and then, especially at Grandma’s house. Honestly, I wonder if they were the ones that used to come in the box, frozen. They were often served with Salmon Loaf, so when I reworked Grandma’s recipe into Not Grandma’s Salmon Loaf, I thought I’d better address the Creamed Peas & Pearl Onions, too. One of my very favorite meals on my site is Guatemalan Chicken in Coconut Milk, Pollo en Leche de Coco. 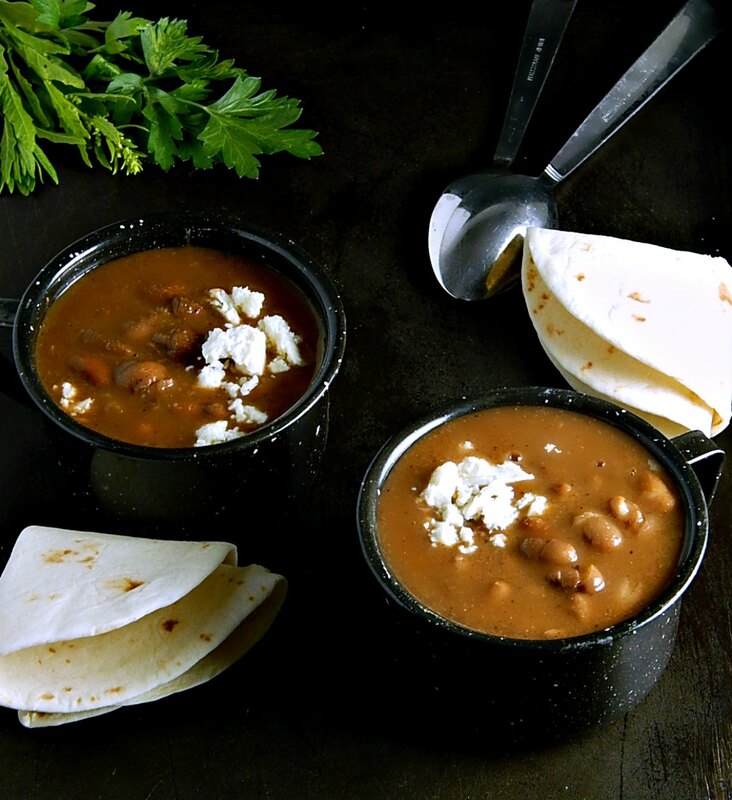 It’s the perfect thing for a cold, winter day – fast and easy and flavor for days! 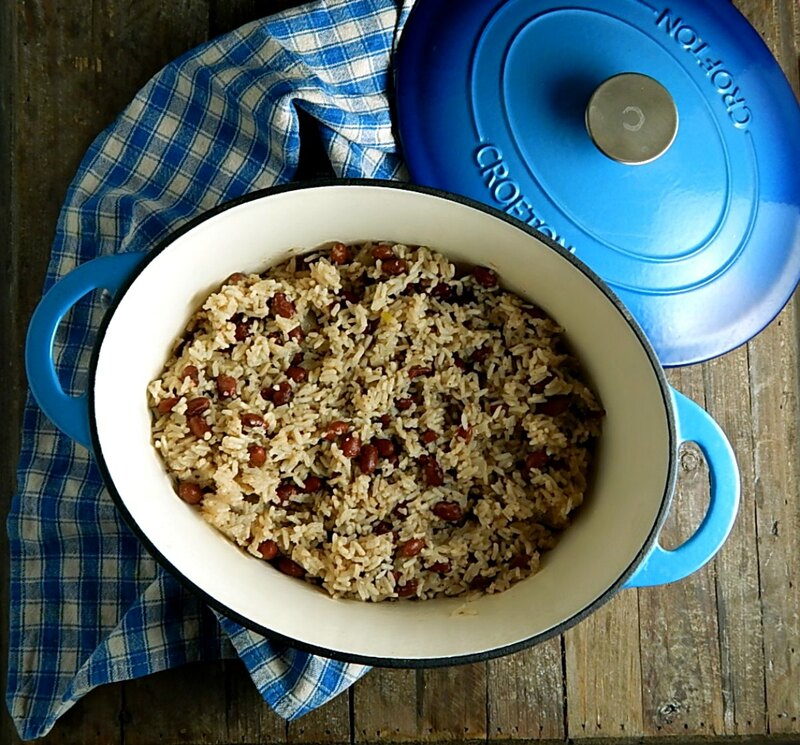 In the past, I’ve served the dish with rice cooked in coconut milk instead of how I first had it, with Guatemalan Rice & Beans. 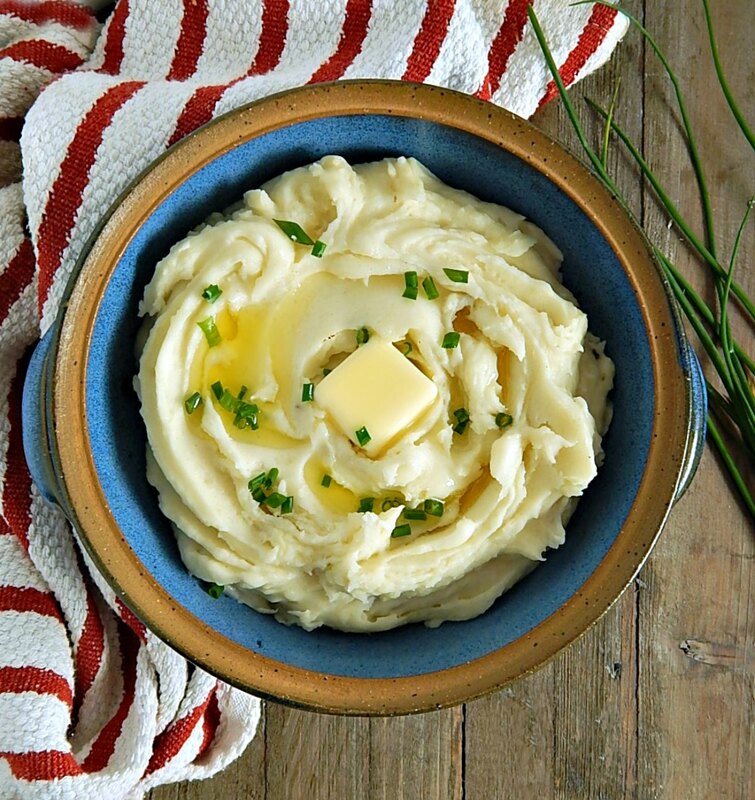 For everyday old dinners, I usually make my plain old mashed potatoes, I call them Simple Rustic Mashed Potatoes. They’re super easy, pretty lean and I don’t even peel them. Sometimes I make my Perfect Instant Pot Potatoes, too. They’re a great mashed potato. But when Company comes or a Holiday rolls around, I pull out all the stops and make my best ones: Best Company Mashed Potatoes. Gosh, do I love me some Brussels Sprouts. They’ve always been a fave, and especially my Bacon Brussels Sprouts. I mean c’mon! 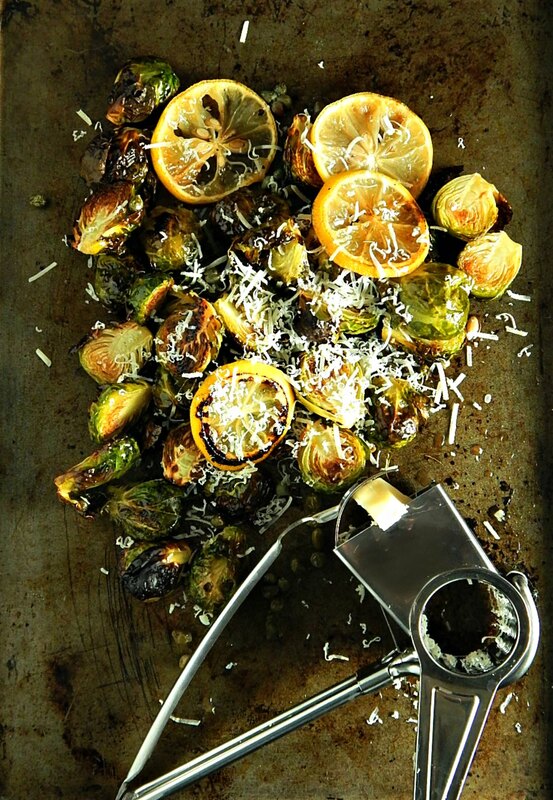 But man or woman cannot live on just Bacon Brussels Sprouts, sometimes you need to shake things up a bit, and so here’s a sweet little recipe for Restaurant Style Brussels with Lemon Caper Butter Sauce. When I worked on my family history, I was surprised to find out how many Pennsylvania Dutch & Amish ancestors I had. Of course, those ancestors multiply quickly as you work back. You start with 4 grandparents, then 8 great, then 16, 32, 64, 128, 256 and by the time you get back a few more generations you realize that you’re related to half the people in the US! Our good neighbor in South Dakota was a 9th cousin! Hi Auntie Mary! 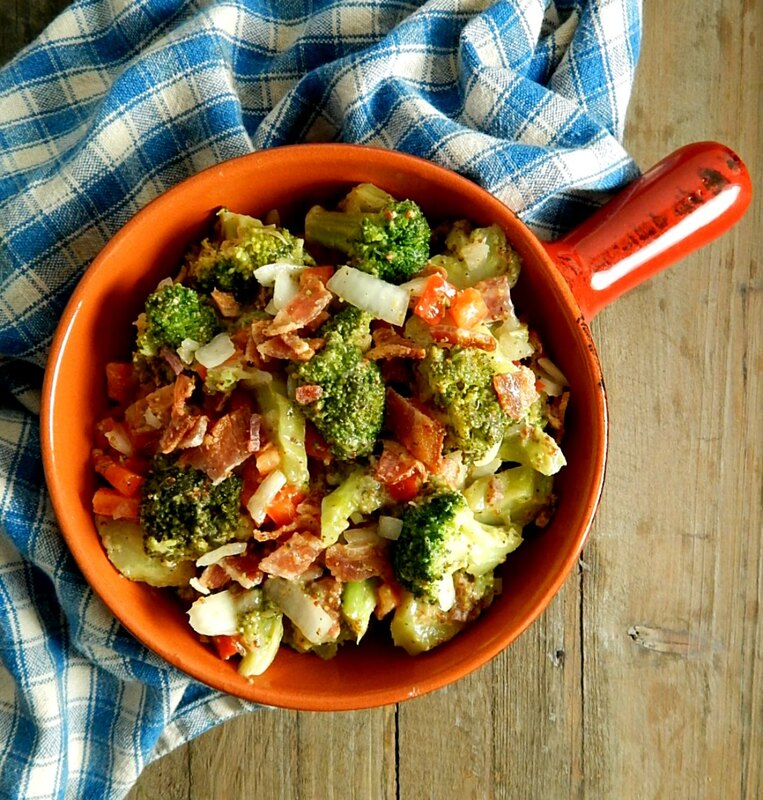 But what I’m getting at I’m wondering if I have a predisposition for the sweet/sour flavors so often found in Pennsylvania Dutch cooking, and especially this Pennsylvania Dutch Broccoli & Bacon? Is there a gene for that? My Mom used to make what she called American Fries. She’d pull out the electric skillet (so many things were made in that! Hello Porcupine Balls, I remember you…and not fondly, either) but we were happy to see that skillet it if it meant American Fries. Now me, I think the BEST American Fries are American Fries From Leftover Potatoes. So how many of you have a “Deserted Island” food? I almost said, “dessert island” that would be even better, huh? So a Deserted Island food is a food you would pick if you had to live on a deserted island but the catch is It can be only one food. Mine is potatoes. 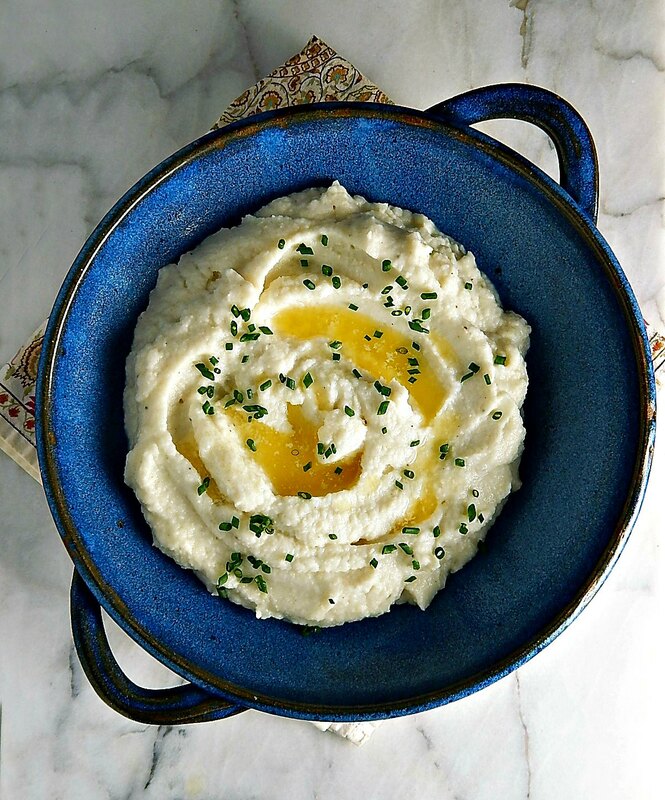 Specifically mashed potatoes and if I could bring my Instant Pot along, it would be these Perfect Instant Pot Mashed Potatoes. Do you love broccoli? It’s always been a fave at our house and 90 percent of the time, I make Simply Steamed Broccoli or sometimes I make what I call Almost Alton’s Oven Roasted Broccoli. Both are super simple, super fresh. But sometimes you just gotta go the extra mile and make something really special. 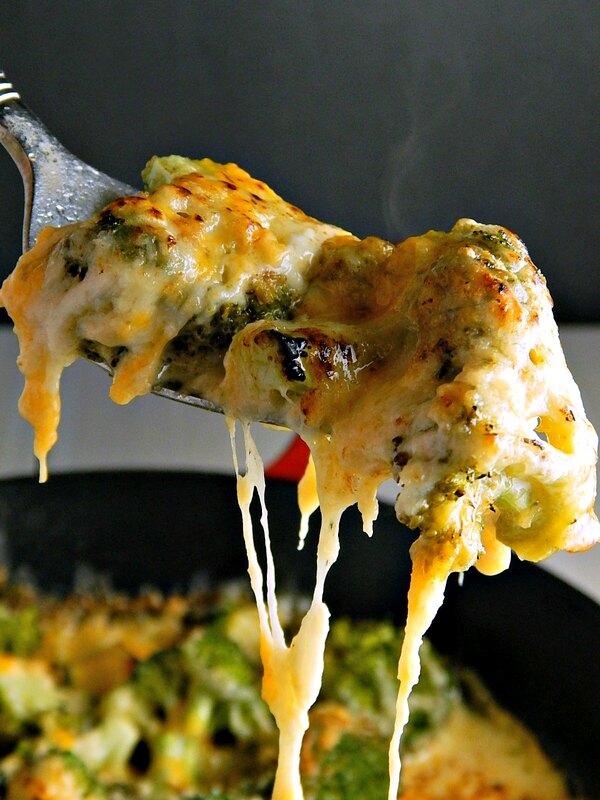 That, for me, is Easy Cheesy Broccoli Skillet. 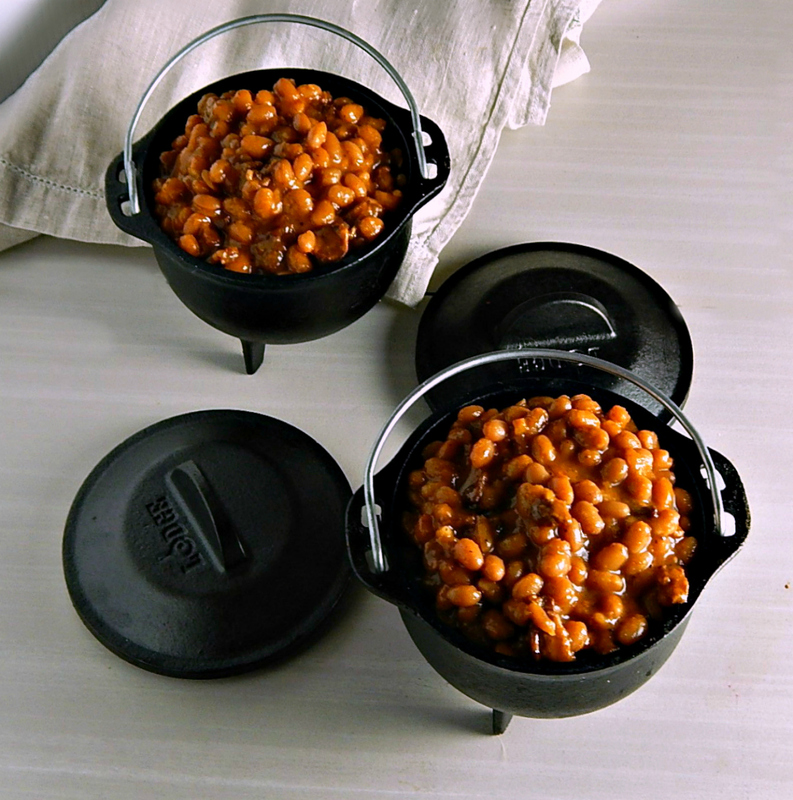 Ok, so what kind of blogger/friend would I be if I posted my homemade Mexican Pinto Bean Spice and then didn’t follow up with a recipe for my Spicy Pinto Beans Instant Pot or Stovetop? So here it is, and you can make these the old-fashioned way by simmering on the stove or the quicker newfangled Instant Pot version. I vote for quicker, but I have an Instant Pot and an issue with delaying gratification. 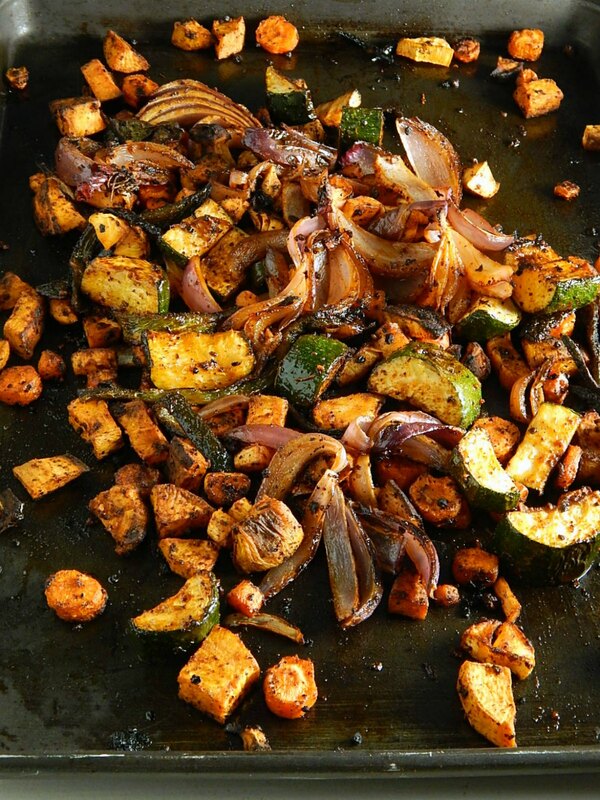 If you’re looking for a recipe that’s going to use up some of the summer bounty, Smoky Sheet Tray Roasted Vegetables are it! 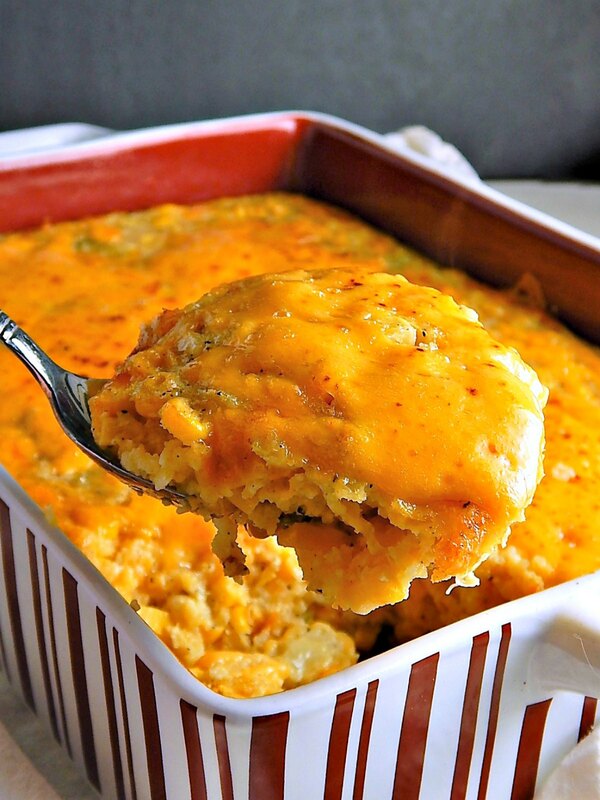 This is an oldie but a goodie, Corn Patch Corn Casserole. I was thumbing through my recipes when I came across it and I don’t think I’ve made it for over 30 years. I thought I’d resurrect my recipe and try it again. See if my memories about how good this is are correct and all that. It seems I’m all about the summer party recipes, lately, not my typical everyday fare! (See the explanation marks? That proves it!) 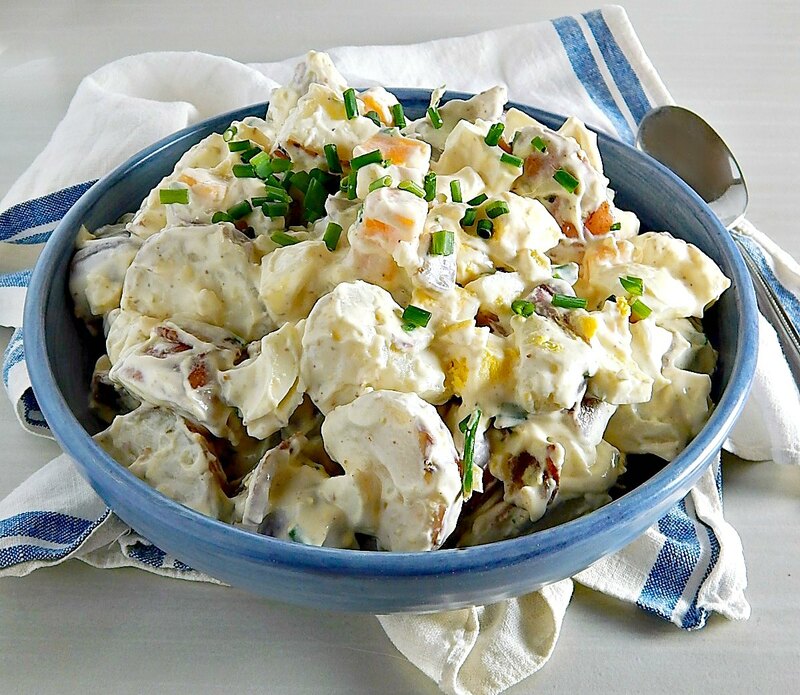 And this Loaded Baked Potato Salad is definitely one. Heck, it’s a party in a bowl. Hi ya’all. I hope everyone had a happy and safe 4th of July. 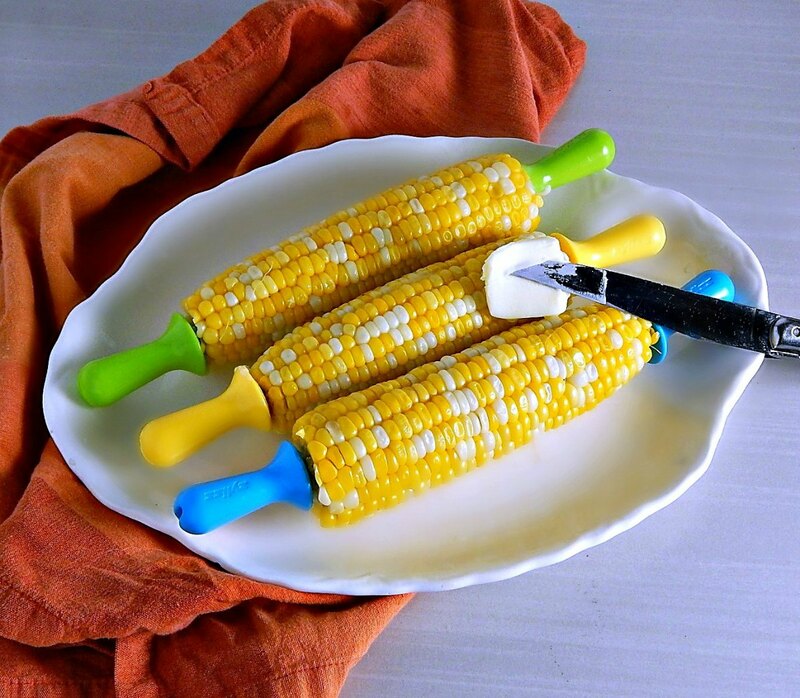 And I hope you ate your fill of everything summer has to offer, including Sweet Corn. If you have any Sweet Corn leftover (if you don’t, make some) you’ve gotta try Thai Street Corn. It’s a revelation. Why would you cook Instant Pot Sweet Corn? Because it really is fantastic. 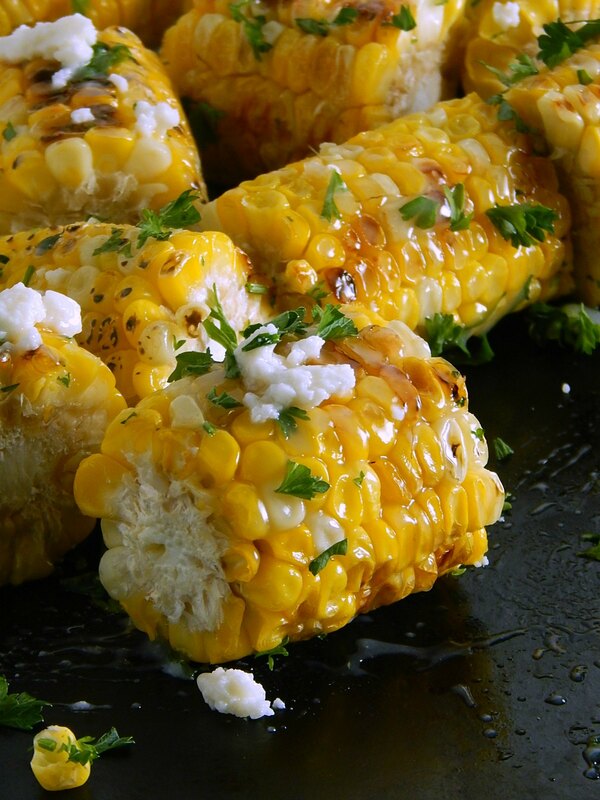 The short cook time and little water keeps all that corn flavor where it should be – in the Sweet Corn itself. 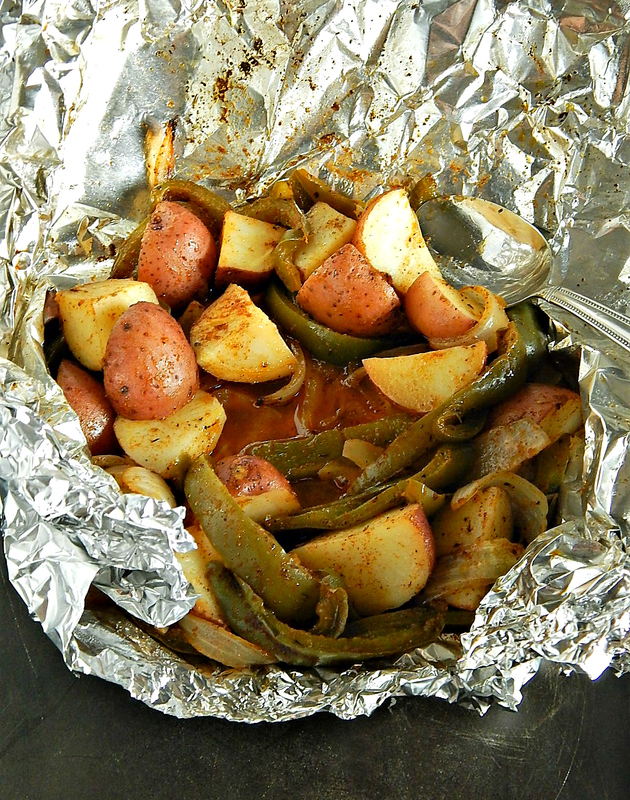 I’m always looking for a simple, easy side dish when we’re grilling something and these Foil Pouch Potatoes Peppers Onions go with just about anything. Burgers, chicken, pork chops, steak. So over the long weekend, temps way up in the 90’s (oh why is the weather so craaaazy this year?) 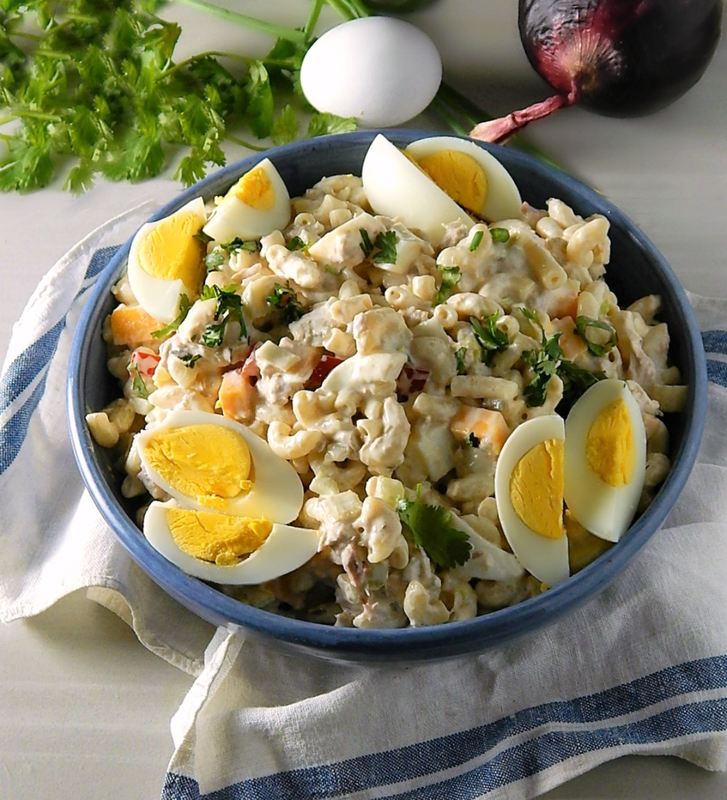 I somehow got the idea that I wanted some of that Old Fashioned Tuna Macaroni Salad. You know the one I mean, all cool, creamy deliciousness with a few crunchy veggies and that tuna that somehow melds in and makes everything so rich. 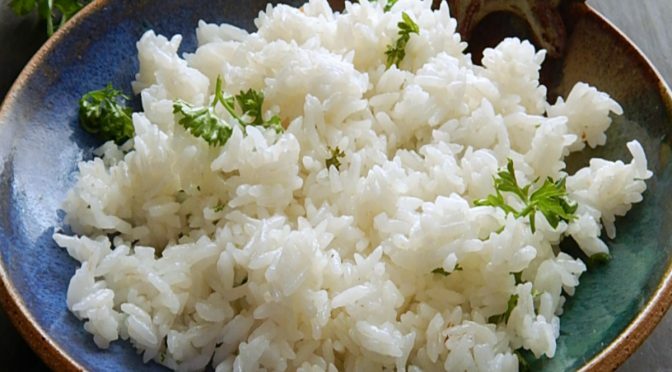 Are you having issues with your Instant Pot Rice? I did too when I first started. A bit of practice and applying some time-honored rice cooking principles did the trick. 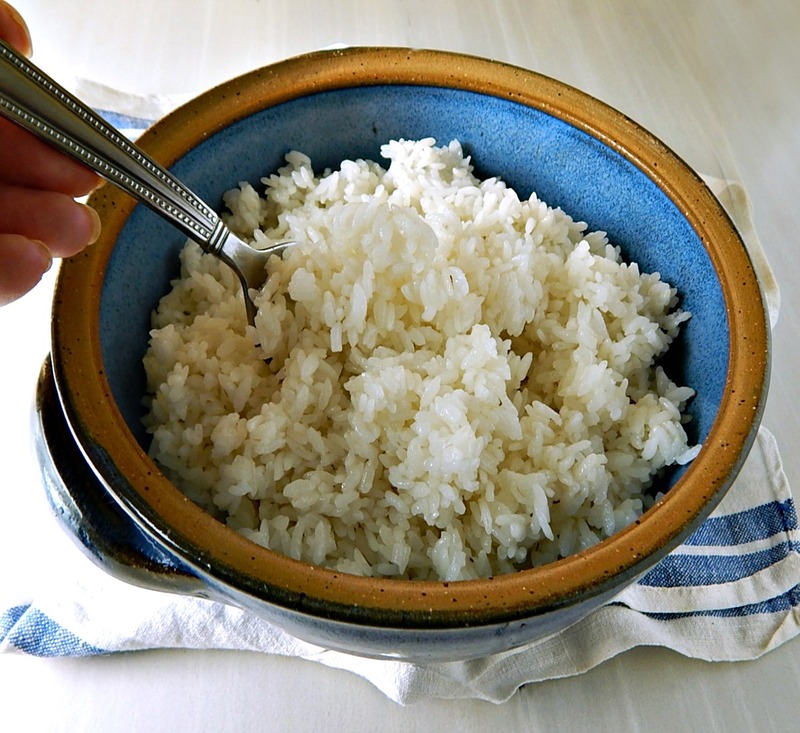 Now my Perfect Instant Pot Rice turns out perfectly every time. 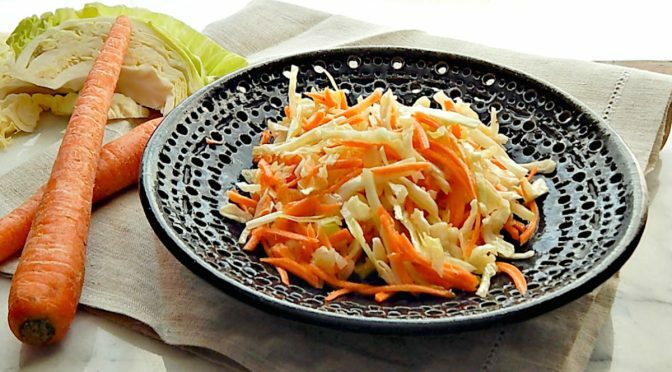 Sometimes you just need a little something to fill out a meal or a lunch, and this Carrot & Cabbage Slaw will hit the spot every time. 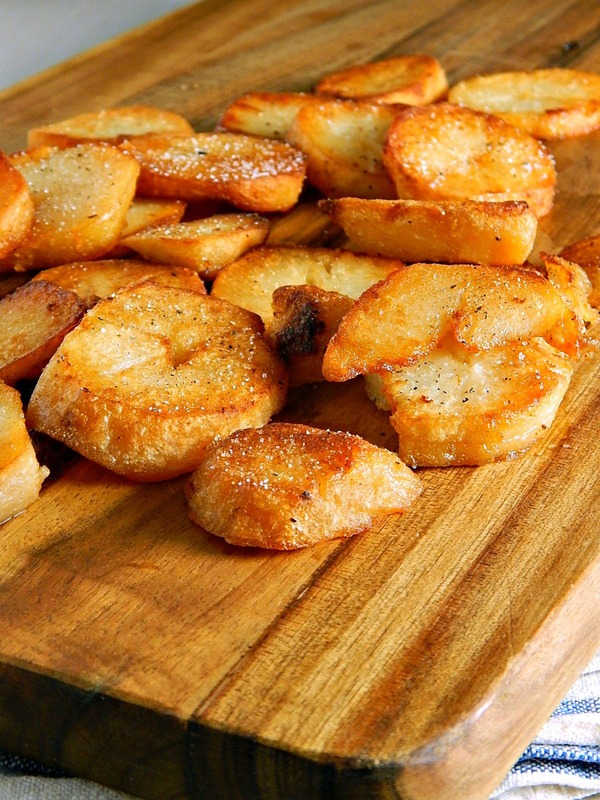 Super easy and fast to make, this is a great little back pocket recipe to know. When was the last time you had Black-Eyed Peas? 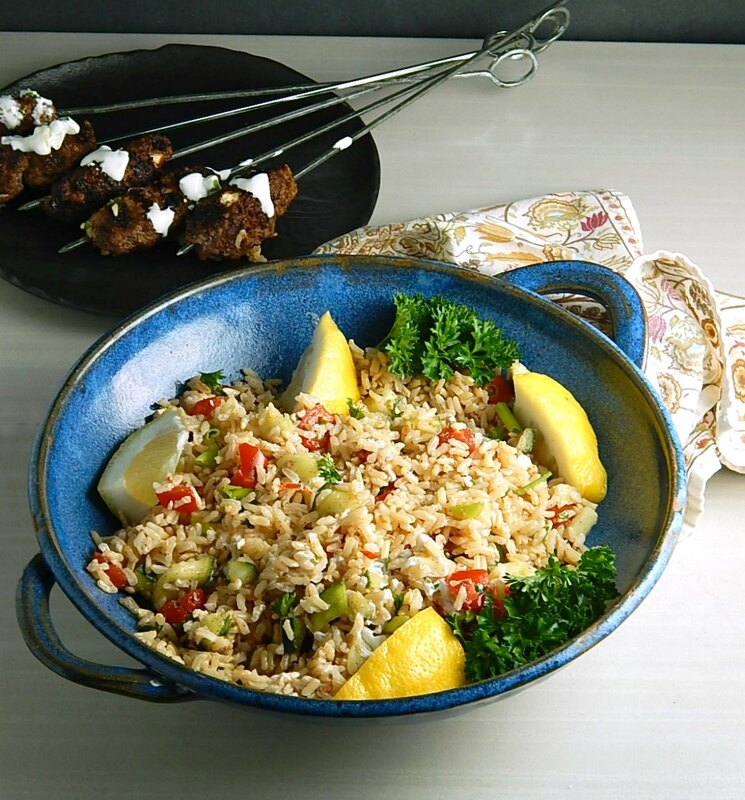 And how about the last time you had Black-Eyed Pea & Rice Salad? 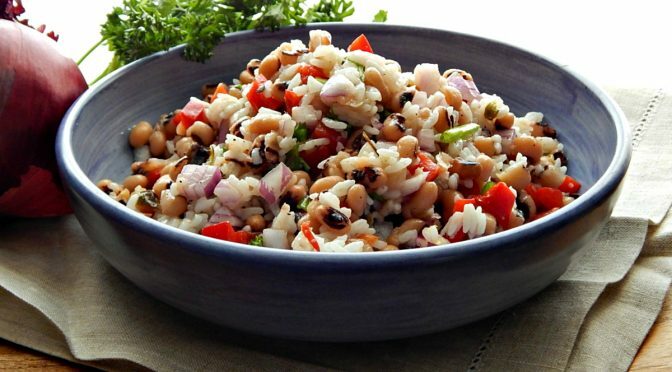 If you only think about Black-Eyed Peas on New Years (they’re lucky and I have a recipe for Traditional Black Eyed Peas on my site) or as the strange little bean in Cowboy Caviar, think again. When Chipotle Mexican Grill came out with their Cilantro Lime Rice, it seems the whole country went wild over it. And with good reason: it’s delish! 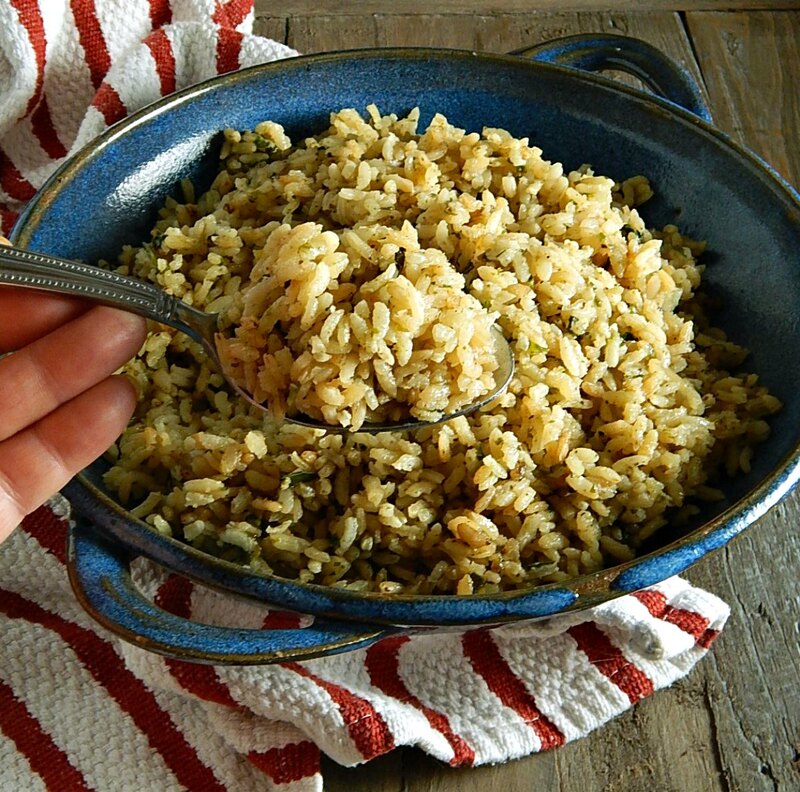 Best of all, it’s easy to make at home, whether you want to make Cilantro Lime Rice Instant Pot or Stove Top! 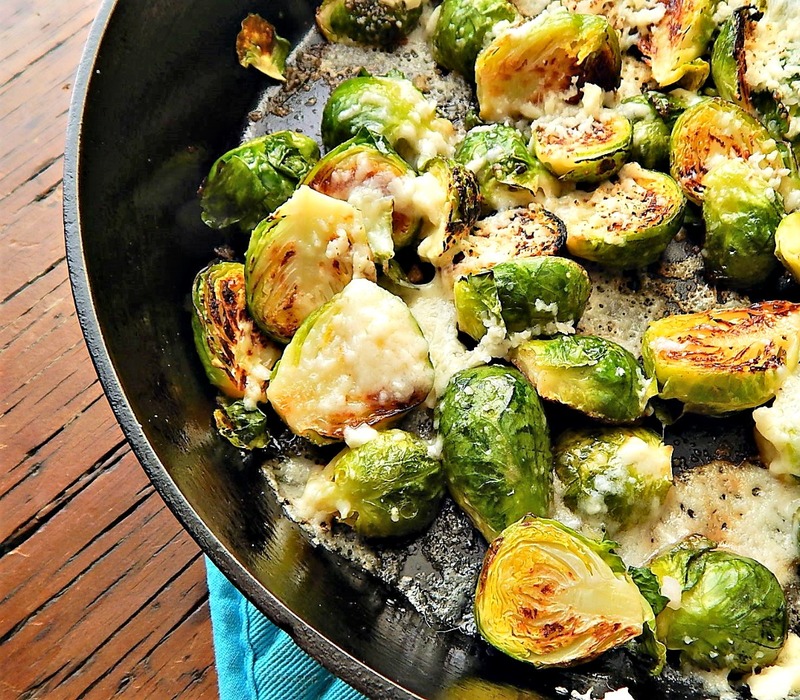 When I made these Skillet Roasted Brussels Sprouts With Parmesan Frico, I was thinking about the food I usually make for my blog. As a food blogger, one thing I seem to fall short on is “side” dishes, especially vegetable side dish recipes. So I always wonder how the winter is going for everyone – we’re going to be up to 58 tomorrow but I’m bummed because it’s supposed to rain. But it was supposed to snow, so we’re lucky for this heat wave. Then down to a more seasonal 15 degrees by the end of the week. 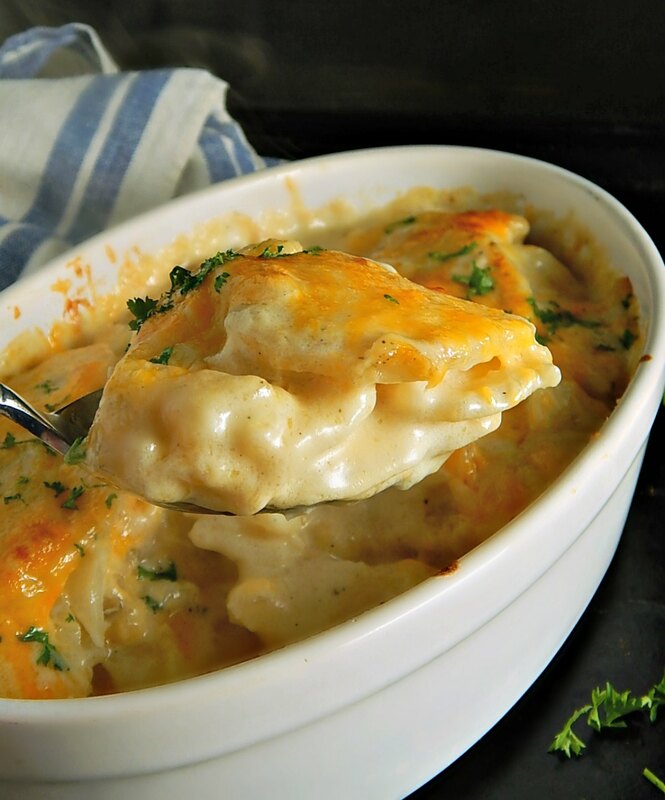 It seems the perfect time to tuck into some comfort, like this Cauliflower Au Gratin. 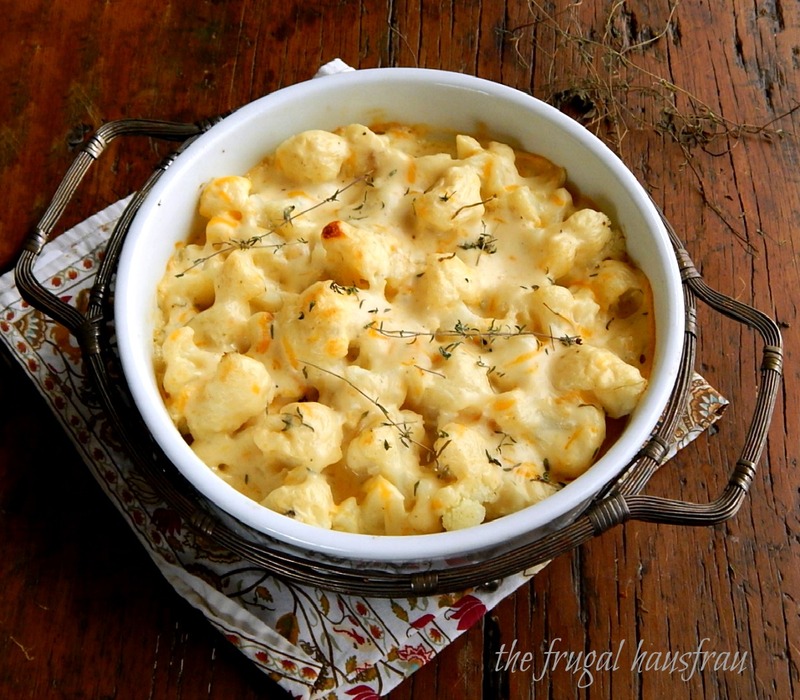 Cauliflower au Gratin – simple enough and oh so scrumptious! 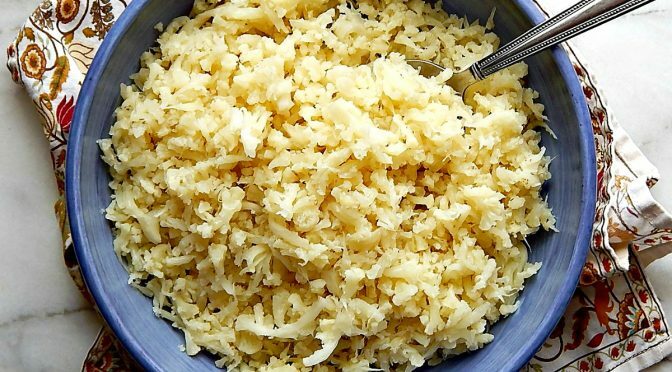 Are you looking for a super fast, super easy way to make Cauliflower Rice? Do you have an Instant Pot? Here it is, an easy one-pot mash in the pan Instant Pot Cauliflower Rice.